Giorgetto Giugiaro of Italdesign was responsible for the M1’s sleek lines. The main objective was to design and build a car that would go fast on a racetrack. There is of course nothing wrong with going fast and looking good at the same time. The fact that these cars also had to be sold was another incentive to produce an attractive package. 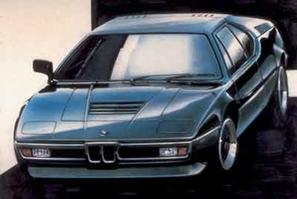 Giorgetto Giugiaro probably took some cues from the BMW Turbo. The front end with the kidney grille and the C-pillar with the Hofmeister kink are pure BMW. The result of this particular mix of influences, where form was preceded by function and where Italian temperament was toned down by German level-headedness, looks as stunning today as it did 30 years ago. 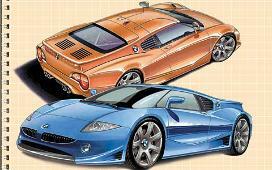 Italdesign can take credit for drawing quite a few other memorable automobiles. The first iteration of the Lotus Esprit for instance (the white car that 007 drove into the ocean that subsequently turned into a mini-submarine, all to escape the hot girl in the helicopter that tried -with little hope of success- to blow him up) was designed by the same artist. Other examples include the DeTomaso Mangusta, the Maserati Bora, the Delorean DMC12 from ‘Back to the Future’ fame but also the Volkswagen Rabbit. Unlike a lot of other designs from the Seventies, the styling of the M1 has withstood the test of time well. I think it is the understated elegance and the absence of outrageous air-scoops and spoilers that give the (street version of the) M1 something of a timeless quality. As the Seventies where about to turn into the Eighties, I was one of many young lads with a poster of the Lamborghini Countach on my bedroom wall. 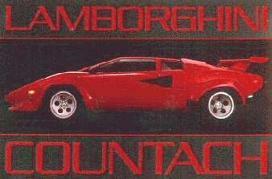 I remember the excitement of first seeing pictures of the Countach. At that time I couldn’t have imaged anything more desirable. Looking back at the object of all this fascination, like bell-bottoms, Abba, the Six Million Dollar Man and Rubik’s Cube, it appears to be very dated. The M1 is a different story. Personally I would love to see an updated interpretation of the M1. There was talk about something like a modern BMW super car some time ago, but the buzz seems to have died down. 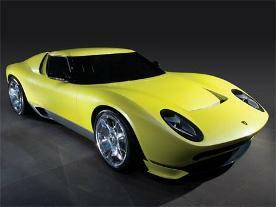 Maybe BMW management will dust off the idea if the spectacular new Miura, now in Audi’s hands, proves to be a success. Motor Trend’s speculation on the new Z10, the second mid-engined BMW. I would not mind if it resembled it’s predecessor a little more. The engine from the new M5/M6 should do nicely. Where do I sign up?